You can also pair your personalized youth t-shirts with custom shorts or pants. Make your own original shirts to support your school, team, organization, event, or business. Or simply create a shirt that’s just for your club! Add your name, a team name, logo and number to your team t-shirt. With endless design possibilities, you’ll want to make a shirt for all of your activities. 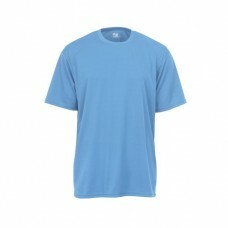 Our t-shirt selection includes amazing performance fabrics and ultra soft cottons. We work closely with you to make sure the custom screenprinted t-shirts you receive are exactly the custom t-shirts you envisioned. From every fine line in the lettering and logo to the type of shirt, Shop4teams aims for pure perfection in every custom t-shirt we produce. We wouldn’t have it any other way. At Shop4teams, we bring our A-game! Size chart Heavyweight 100% polyester matte brushed tricot * Heat sealed label * Quarter zip p.. Size chart 100% polyester wicking knit body * 92% polyester/8% spandex pinhole mesh inserts an.. Size chart Made from dense, tight and smooth premium cotton for years of wear, it's a legend among t.. Size chart Keep them around-the-campfire-comfortable with this long sleeve shirt’s chill-fighting wa..